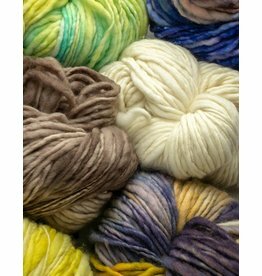 Soul Wool fibers are made from the world’s most prestigious fibers, varying from Baby Merino, cashmere, angora, baby camel, alpaca, silk, vegetable fibers such as hemp, soy, and more. All hand spun and hand dyed in Jerusalem, Israel. The colors are inspired by the many breathtaking landscapes. 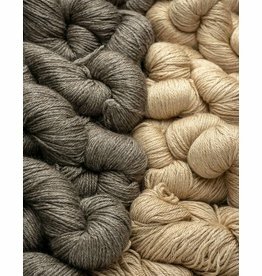 100% baby merino sourced from New Zealand from sheep that are brushed, not sheared. Soul Wool is spun by hand by Nomadic Bedouin women who are paid fair wages. It is then dyed by hand in Israel by artist, Shlomi.